Tallinn Travel . 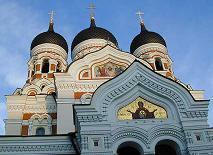 com offers wide selection of Tallinn hotels, hostels, apartments and pensions with actual prices, reviews and photos. All hotel rates specials and discounts as offered directly at hotel or even lower negotiated bed room prices gives you best value for money. 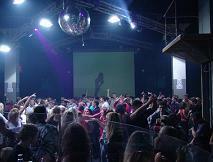 Travel tips includes most famous attractions, nightlife guide, flight schedule and Tallinn flights booking links and city map. Best recommendation for trips around Tallinn in Estonia. According to Eurostat, the statistical agency of the European Union, Tallinn is the city with the largest number of non-EU nationals: 27.8% of its population are not citizens/nationals of a European Union country. 28 unit apartment hotel offers studios, one or two bedrooms apartment with kitchen, dining area and bathroom. New design hotel in tastefully reconstructed mediaval properties. Enjoy balconies and hidden staircases, historical facade, hand painted fresco, wooden beamed ceilings dating back to 14th and 16th century. Relax Spa room, sauna, high speed internet are provided complimentary to all guests and very attentive service is standard of this excellent city break or business trip venue. Small, friendly hotel with restaurant, wine cellar and summer terrace offers personal attention and homely comfort. The authentical atmosphere of medieval town combined with lively modern city bustle attract thousands of visitors to the capital of Estonia - Tallinn. Being for centuries the crossroad between east and west the citizens are used to be warm hosts to guests from all directions. 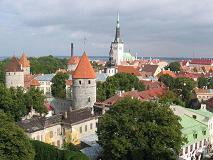 The Old Town of Tallinn belongs to the best preserved of Europe. Labyrinth of cobblestone streets and alleys, surrounded by powerful city walls offer the feeling of merchants dealing on the streets like during Tallinn's golden age, that lasted from 15th to 16th century. 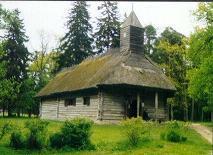 Located just 6 kms from city centre of Tallinn the location is popular place for spending tranquille free time. The ruins of gothic convent, bothanical garden and TV tower are situated on shores of Pirita river. Even the name sounds so Italian, it describes the cliff above sea that gave the name to whole neighbourhood. Very popular between children, as the Tallinn Zoo, Tallinn amusement park Tivoli and Estonian Open Air Museum present plenty of childrens most popular dreams.